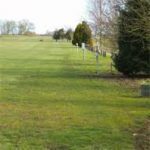 There is a camping and caravan club campsite just down the lane towards Woodhall Spa and many other small certified sites dotted around the village. 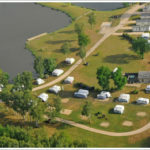 One such site is next door to the pub at Bainside Fishery, very popular, having peaceful and well stocked fishing lakes. 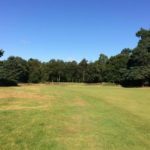 Nearby, Woodhall Spa, is a very popular toursit destination and offers country style shopping, kinema in the woods, ethnic retaurants, a museum and national golf centre. 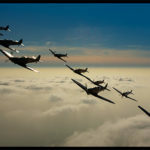 Conningsby in the other direction is the place to go to for plane spotters and RAF enthusiasts. Bainside Coarse Fishery – Mike & Sherila Saunders, Bainside House, Roughton Road, Kirkby on Bain, LN10 6YL. T: 01526 352 050. The Home of English Golf, invites you to experience a world-class golf courses and Academy, which is open to all. 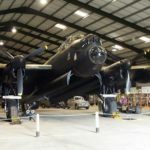 The Lincolnshire Aviation Heritage Centre enables you to relive the sights, sounds, smells and atmosphere of a bomber airfield. Poplar Farm CL is located in Roughton Road, Kirkby on Bain, LN10 6YL on the banks of a beautiful chalk stream – the River Bain. 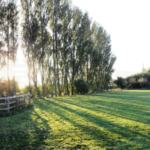 It’s a half acre, south facing site which offers 5 level grass pitches, all with 10 amp electric hook ups and very close proximity to fresh drinking water. Providing open views of the Lincolnshire Fens.